Midi (Musical Instrument Digital Interface) system allows you for seamless integration of your instrument with Roland Virtual Bass. Through VB MIDI you can use synthesized or sampled sounds instead of your bass guitar sound and use them in your musical creations. Now you can play piano, violin or sinthetizer sounds directly with your bass guitar. MIDI also allows you to record MIDI tracks directly with your sequencer or musical software or write directly your partitures in your computer too. 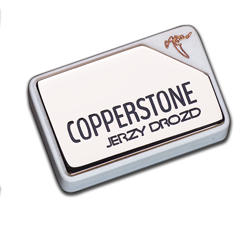 MIdi system is available as an extra option for all Jerzy Drozd instruments. This selector allows you to select playing mode. 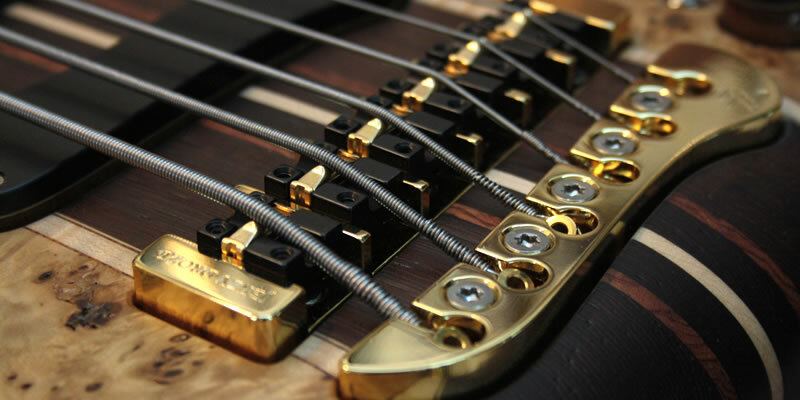 Switch to Bass mode if you have standard jack pluged in and you play regular bass. Please note that in this mode the 13 pin MIDI output is cancelled. Switch to Synth mode if you have midi 13 pin cable pluged in and you play with bass MIDI device. Please note that in this mode the standard jack output is cancelled. Switch to MIX mode if you want to play both Bass and Synth mode having both regular jack cable and 13 pin MIDI cable plugged in at the same time. Synth/MIX/Bass selector is a part of standard MIDI layout on Jerzy Drozd instruments. If you preffer to have less controls and cleaner control layout, this control can be omitted. 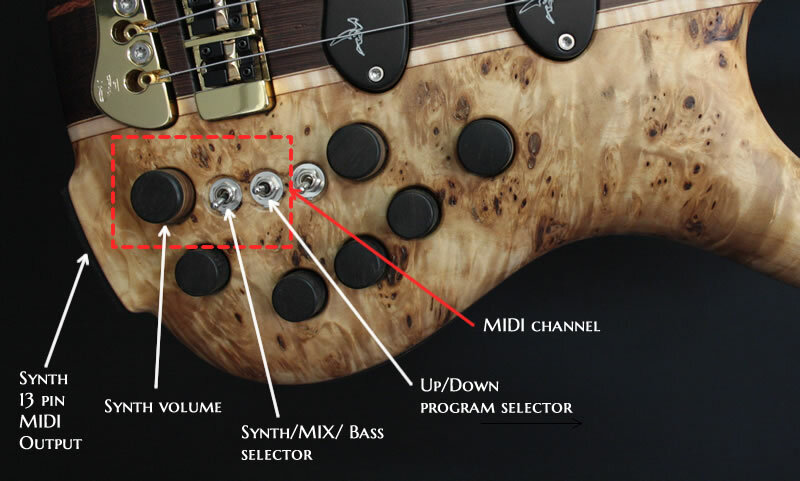 This selector allows you to select programs/sounds on your MIDI/Synth device directly from your instrument. Up/Down program selector is a part of standard MIDI layout on Jerzy Drozd instruments. If you preffer to have less controls and cleaner control layout, this control can be omitted. Still you can change MIDI programs directly from your MIDI/Synth device. Our MIDI system uses piezo bridge saddles to track MIDI signal, thus Piezo Bridge option is required along with Midi option.